Since March 2018, the OCP Group has been working intensively on the design of modular data centers that are optimized for OCP hardware. 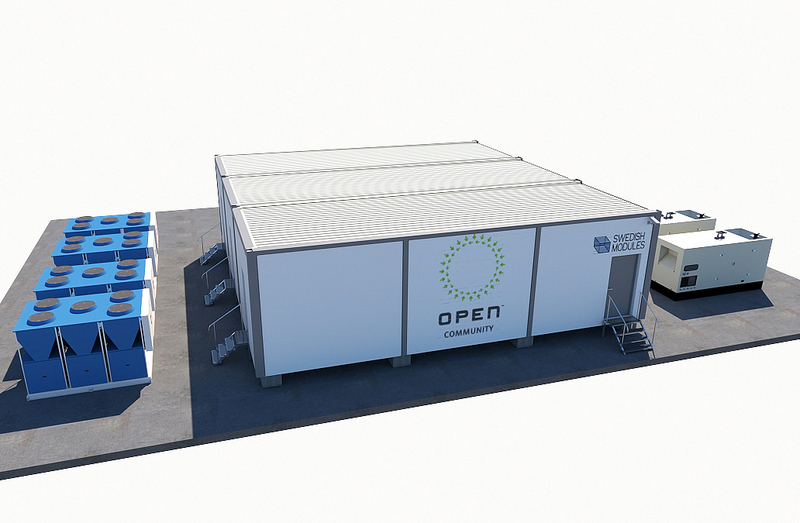 Within the OCP project group Data Center Facility, the Modular Data Center project has developed the first specification that defines a modular data center optimized for OCP hardware. Swedish Modules has worked together with the OCP community to design this data center, with the main objectives being the OCP principles Effectiveness, Scalability, Openness and Impact. The use of OCP hardware reduces plant costs by up to 50%, and there is also the possibility of saving more than around 30% as a result of reduced energy consumption. Further savings relating to construction and infrastructure can also be made by using the MDC V1 data center. A 300 kW MDC V1 OCP data center is approximately 40% more cost-efficient to build per rack than a traditional data center. In addition, the design of the external power supply provides further savings of 45%. We at Swedish Modules are proud to present the market with a design for the first scalable data center for OCP hardware. As a result of open innovation, we have developed a solution that, with the positive effects of OCP hardware, provides completely new dimensions regarding how we build data centers. Roberto Söderhäll gave a lecture about the project at the 2019 OCP Global Summit in San José. The development of the OCP-optimized modular data center is being driven by OCP hardware suppliers of racks, servers, switches, and DC power and cooling solutions, along with telecom operators, colocation businesses and cloud service providers. With this approach, the project integrates valuable perspectives to achieve optimal results. The participants include representatives of both the data center industry and the end-user side, including Facebook, Microsoft, AT&T, Nokia and Schneider Electric.